New York: Robert M. McBride. Brussel states that the large paper edition was issued on November 1, 1924, sixteen days after the trade edition issued on October 15. Demy octavo [23.7 cm. (9 5/16 in.) x 15.1 cm. (5 15/16 in.)]. Pp. x+304; (i) blank; (ii) limitation page; (iii) half-title; (iv) BOOKS by MR. CABELL; (v) title page; (vi) publication data; (vii) dedication (verso blank); (ix) Contents (verso blank); (1) fly-title; (2) apocryphal quote regarding the Book of Laws; 3-302 text; last leaf blank. Pp. (1), (23), (47), (77), (121), (137), (169), (191), (223), (237), (265), and (283) are fly-titles; pp. (22), (46), (120), (168), (222), and (236) are blank. Black cloth; lettering and decorations in gilt; top edges trimmed and stained red, else untrimmed. Spine: STRAWS | AND | PRAYER- | BOOKS | [rule] | CABELL | McBRIDE. Front cover: [Kalki device at lower right] (see image above). THIS LARGE PAPER EDITION OF STRAWS AND | PRAYER-BOOKS CONSISTS OF THREE HUNDRED | AND THIRTY SIGNED AND NUMBERED COPIES, | OF WHICH THREE HUNDRED ARE FOR SALE | [autograph signature] | [in italic] This is Copy Number | [stamped in blue] 225 (see image above). 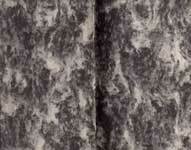 Black and white variegated paper (see image above). Dust jacket: Plain unmarked tissue dust jacket (not shown). Slipcase: Light card open backed case covered in black paper, unmarked except for the copy number hand written in silver ink on the spine (see image above). The verse on the title page is taken from a poem by Alexander Locke. Originally published as part of a longer work, Essay on Man, Epistle II, lines 275 et. seq., the passage is often excerpted as a short poem titled "Behold the Child, by Nature's Kindly Law". See The Works of Alexander Pope, Vol. I., ed. Rev. G. Croly, LL. D., London, A.J. Valpy, M.A., 1835, p. 39.